This is the full 145th concert from last summer. and a good watch while the snows blow this weekend. 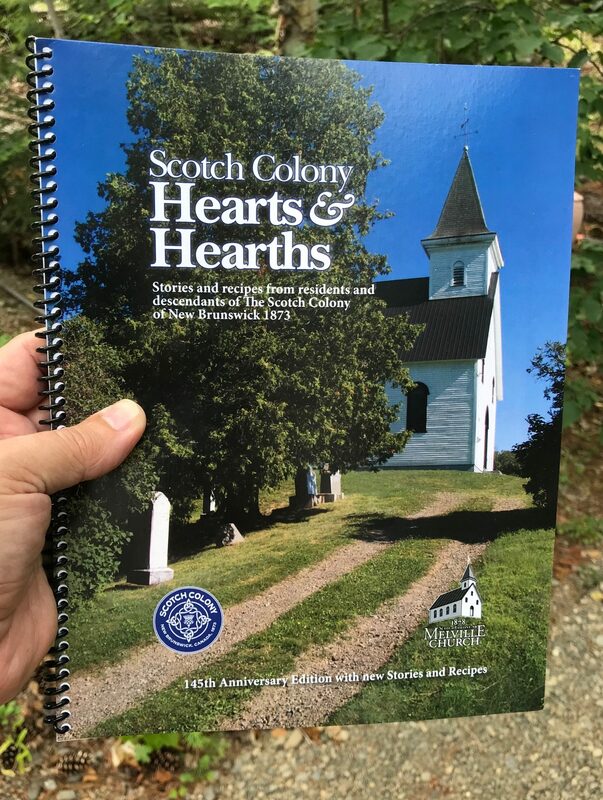 On September 27, 2017, David and Ian Hendry (director/camera) interviewed several Scotch Colony folks and videoed scenes at a Burn’s Hall Music Night and dance. 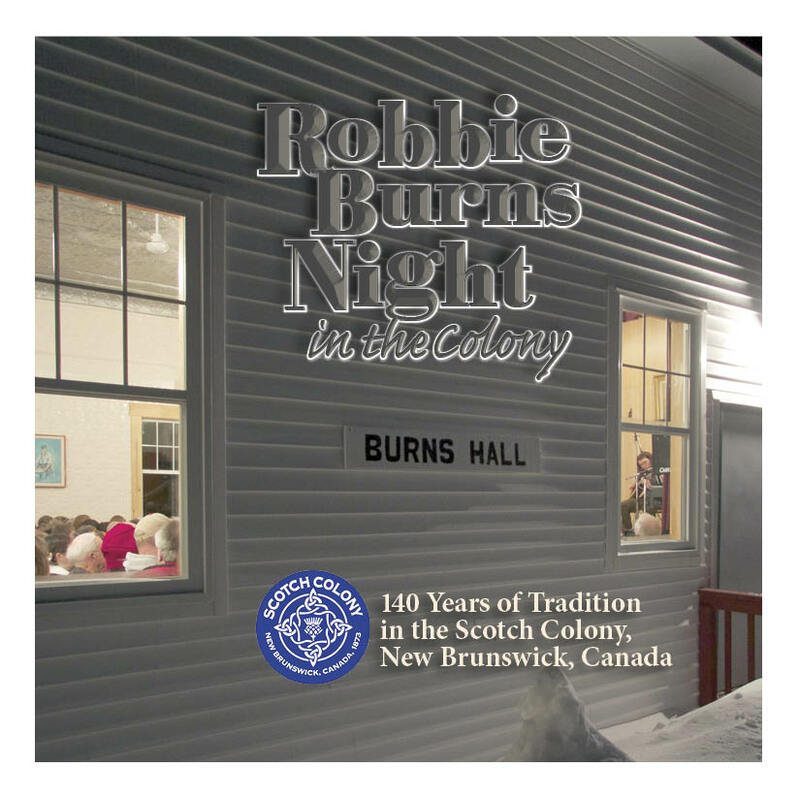 Robbie Burns Night in the Scotch Colony: You’re invited! Robbie Burns Night in the Scotch Colony! Concert is Friday, 29 January, 2016, at 7:30 at the Burns Hall, Kincardine. Dance follows with the Wednesday Evening Fiddlers. Weather date is the next night, same time. Second performance is Sunday, January 31st at 2:30, with tea afterward. Kathleen Farquhar is from Upper Kintore! The New Brunswick Scottish Portal has hired three students for the summer. The goal of the Portal is to create a comprehensive online database of New Brunswick’s Scottish settlers. Students Kathleen Farquhar and I, Spencer Thompson, from St Thomas University, and Ian Forbes from McGill will be hard at work all summer helping to make the Portal a reality. The New Brunswick Archives is our main base of operation. The archive is host to the majority of the information needed, whether it is books, letters, government documents, or photos. Ian and I have been tasked with combing through New Brunswick Land Petitions looking for Scottish immigrants. Kathleen was tasked with New Brunswick Teacher’s Petitions and has already finished. Kathleen’s job hasn’t stopped there. Kathleen is looking through the diary of James Brown, an interesting Scottish immigrant who penned such works as the Devil’s Reply to Robbie Burns and an essay about emigration to New Brunswick. James Brown often identified fellow countrymen in his diary sometimes listing where they were from in Scotland or even what year they arrived in New Brunswick. She is creating an index of Scottish immigrants as identified in said diary. The Land Petitions Ian and I are looking at will most likely take all summer, but we also have additional work to tackle. Ian is currently transcribing the letters of James Crabb, a young immigrant who came from abroad to look after his ailing uncle. James Brown, the diarist Kathleen is studying, mentioned James Crabb in his journal. This crossover between the Brown diary and the Crabb Collection makes a fascinating connection between archival documents and collections. I am also responsible for writing a brief summary of the travels of immigrant John Mann, an interesting fellow who held New Brunswick in disdain and went back to Scotland, but returned and settled. I also transcribed the ship list from the Favorite, which brought John Mann and more than 100 others from Scotland to New Brunswick in 1816. This was the first government funded emigration scheme. It would also be one of the last planned 19th Century emigration schemes funded by the New Brunswick provincial government. The three of us also spend time with the Archives’ photograph collection searching for any images for possible inclusion in the Portal.I think I can speak for all of us when I say that we enjoy our jobs and we hope you enjoy the fruits of our labour when the Portal is complete. I know we’ll be proud of it. Can you tell who, what, when & where? Leave a reply (note the part:minutes:seconds). In four parts. Melvin Barclay’s farm in Upper Kintore. April, 2012. “The Scotch Colony of New Kincardineshire” (From Kincardineshire to New Kincardineshire 1873) lecture by Scottish historian, Lorraine Stewart. Presented to Stonehaven Heritage Society (Scotland) 28 November, 2012. The audience was about 40-50 and lasted about 50 minutes. New Kincardineshire Colony Talk Lorraine Stewart.mp3. Click here to listen (46.5 MB) This is a very large file so it may take several minutes before it starts playing, depending on your internet speed. Well worth the wait. Note, Apr 11. I’ve had some reports of the audio stopping short. Try downloading the link/Save link as (Windows: right click; Mac: control-click). © Lorraine Stewart. Posted here by permission. We have also received a version with Lorraine’s PowerPoint visuals that we may show at Scotch Colony Fest140, 24 August, 2013. A note from Lorraine, 22 Apr, 2013: I gave my talk at St. Bridget’s Hall (a mission hall of Dunnottar Church http://www.dunnottarchurch.net/property/stbridgets.html ). It is opposite the sheriff court on the corner of Dunnottar Avenue and Bridgefield [Stovehaven, Scotland], and is used by the Heritage Society for most of their meetings.